Creating Chen ERD with free templates and examples. Chen ERD has never been easier. Chen ERD was developed in 1976 by Peter Chen who is a distinguished American computer scientist. Since then Charles Bachman and James Martin have added some slight refinements to the basic Chen ERD principles. 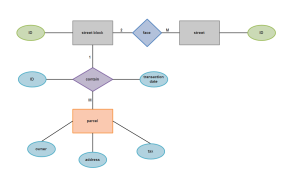 ER diagrams are visual tools that are used in the entity-relationship model initially to create a uniform convention that considers both relational database and network views. 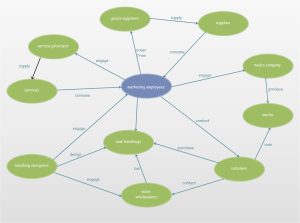 ER model has been expanded and is sometimes used in business management, product development, and strategy formulations. 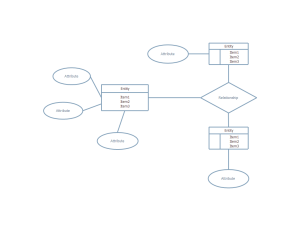 Edraw is a powerful yet easy-to-use drawing tool allowing you to quickly create a Chen ERD diagram through pre-defined template. It has a large collection of pre-drawn shapes and many advanced functions, which greatly reduces the complexity of drawing. You can simply drag and drop the pre-made shapes, while hand-draw is available as well if you want. There are professional built-in themes for you to apply by a single click, or you can customize your drawing through the rich color scheme and fill options. You can export your drawing to PDF or other graphic formats with only a single click. Chen ERD templates include plenty of special shapes, entity with items, user, relationship, entity, attribute, aggregation, line connector, double line connector, one to many caption, many to many, one to one caption, variable to variable. All the shapes will greatly help you when drawing Chen ERD diagrams. Here is a chen erd template understandable at a glance, being absolutely the best choice in your own designs. 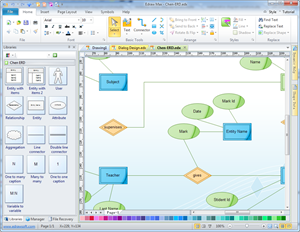 A well-created ERD example is provided on the right showing the overall network of handbag business. Download and take use of this vector template freely.